Phoenix Data Entry Services - Service Provider of phoenix delivers data entry, web research services & online data entry in Ahmedabad, Gujarat. Phoenix delivers data entry and data outsourcing services to assist businesses, globally, to organize their workflows, save in house labour costs and control risks. Phoenix as one of the leading offshore data entry service provider has a team of 15+ skilled, efficient and expertise data entry professionals and clerks with proven capabilities, project understanding and management skills, and meeting deadlines. Our resources are with latest expertise at capturing & processing of data from various input sources like web forms, cards, fax, e-mails, scanned images and hard copy documents. Proficient data entry professionals and clerks followed with a quality check process ensure higher accuracy levels across all our data entry outsourcing projects. Company A is a software development company, particularly providing software and database programs for Medical and Pharmaceuticals needs. Now, there may be many such Software development company in the world market place. So, to standout as a distinction, Company A requires to have some data analysis of Medical & Pharmaceuticals firms regionally, nationally and globally, who would be interested in purchasing this software services. Meanwhile, Company A also need to make and have data analysis of their competitors company, so, they can strategically designed their services and provide a cost effective budget compared to their competitors company. In this case, Company A would likely need to hire an Outsourcing company like Phoenix Data Entry Services to research and prepare a data analysis of the Medical & Pharmaceuticals companies as well as to prepare a data of their Competitors products & services. Our Data Entry services are not limited up to the above industry; we are having a good insight in providing data analysis and data services in diversified industries and fields like, Personal Businesses, Organisations, Firms, Law offices, School, Colleges, Universities, Non profit organizations and much more. We are always there to provide consultation on any aspect related to your Business, products and services. 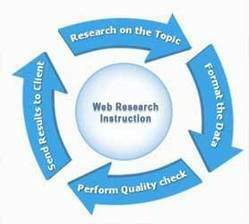 Apart from data analysis on business strategies, products and services, we also offer web research on a variety of topics like politics, Education, law, medicine, Management Executives, Company information literature and much more. Data entry is a field required by many companies to store data in digital format for their business use and the type of data entry system keeps changing. Some ecommerce company requires submission of products and images into their online database, while some requires submission of data into their database. 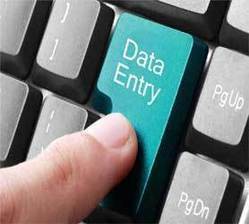 The type of data entry requirement varies with company. Phoenix also manage data entry requirement where we need to remotely access a company’s infrastructure and work in much the same way their office based counterparts did. An Offline Data Entry service also plays an important role for businesses. This is a common practice among many global organizations in recent years for all their data entry needs. Businesses and organizations have daily invoices, vouchers, forms and other data as a hard copy or in pdf, jpg, png, word document or any format. We accept this raw data available in any format and our resources enters this data in a digital format that suits the client needs. This helps the client in reducing some workload and to focus more on other important business activities. By outsourcing offline data entry services most companies get benefits by reducing costs, high work efficiencies and moreover can concentrate on their core competence. Submission of data and information in online database, eCommerce stores, Content Management System and others for one time or daily and long term basis. Certain businesses requires to daily submission/entry of data into their database, like submitting news/press release, updating contact details for travel agencices and others. We are good in entering data with keen care from forms and paper format provided in hard copy or digital format into a convenient digital format required by Client. Many times it happens that valuable data is stored in the form of images with format as JPG, PNG, BITMAP and others. We can accept this raw data in any format and type/enter this data in a sequential order as required and can provide the output into an easily accessible format. We can manage typing data from journals, biographical books, periodicals, old hand written manuscripts with a quick turnaround time and taking keen care of the characters.